Reflective of the most precious of gems, these stunning lime-yellow flowers are boldly kissed with soft fuchsia lips ! 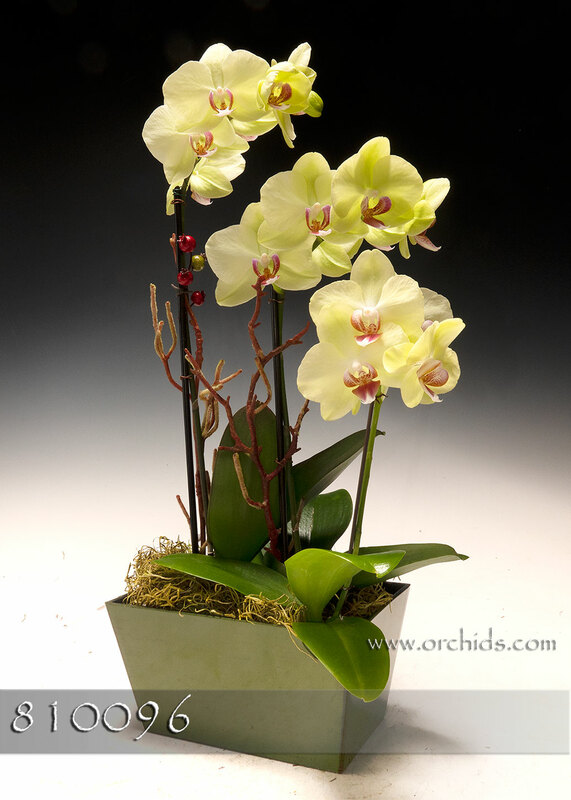 Totally captivating in its presentation, this Phalaenopsis is one of the most beloved by visitors to our nursery. Our designers will hand-select this jewel upon receipt of your order, tuck it into our decorative cachepot and adorn it with bright red faux berries weaving around the spike. Standing 16-20” in height, it will be softly finished with a fluffy bed of jade Spanish moss.